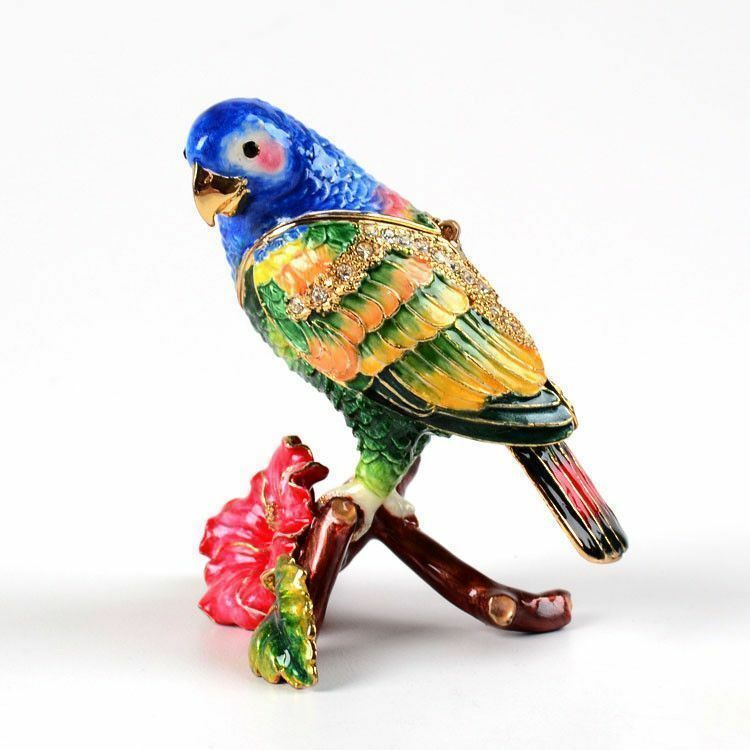 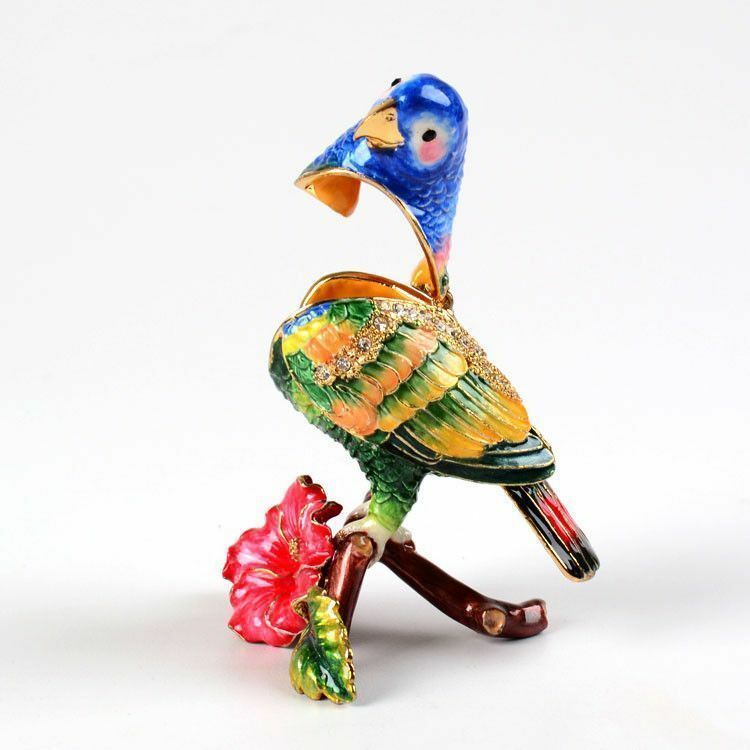 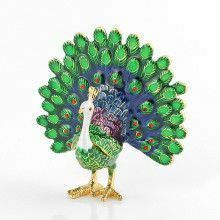 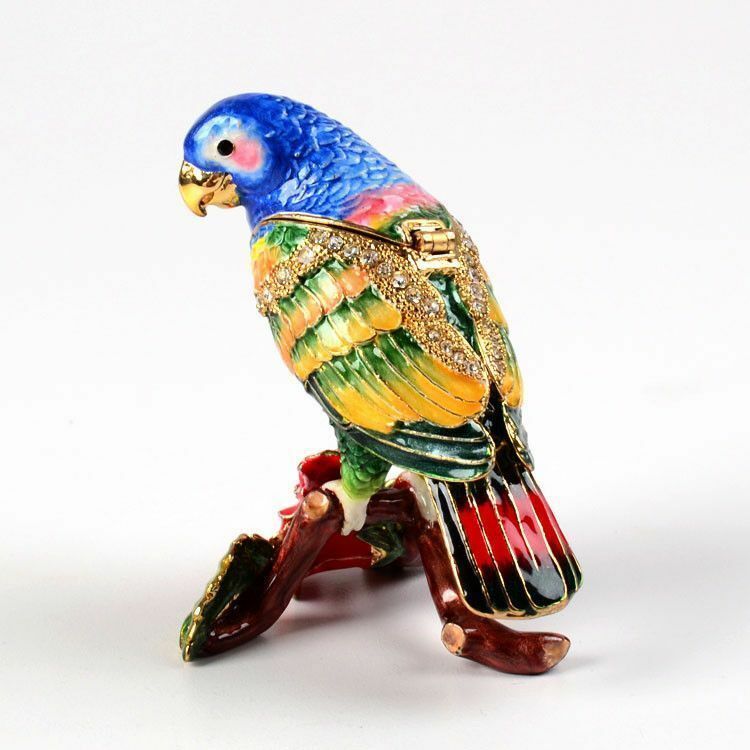 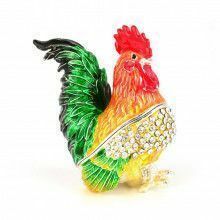 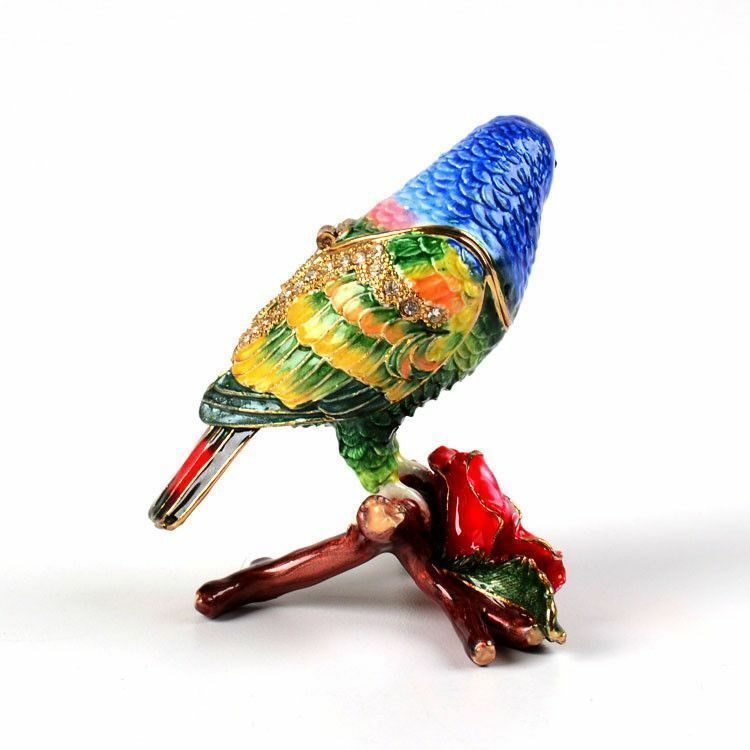 This cute and colorful parrot trinket features tiny crystals and gold plating. 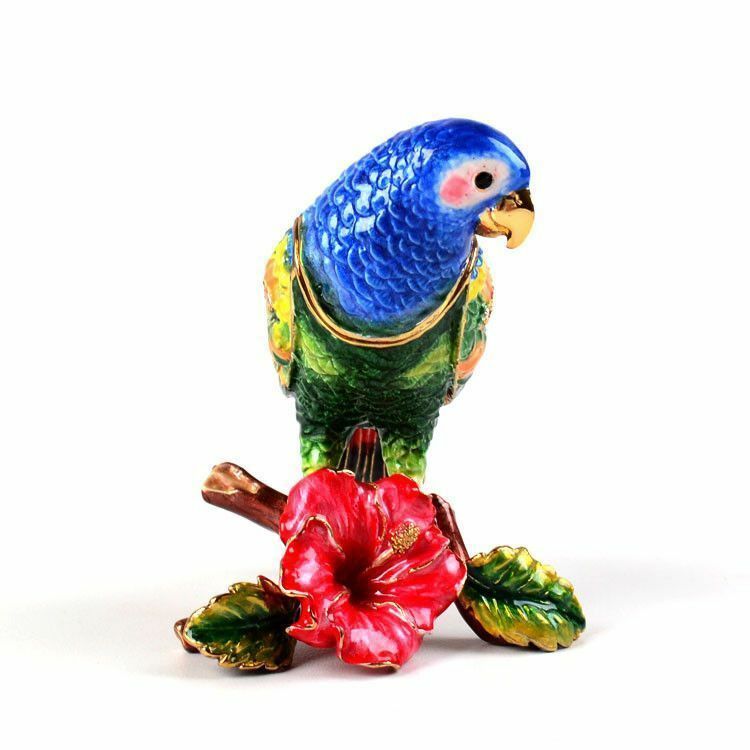 The bird sits atop a branch with a lovely pink hibiscus flower on it. 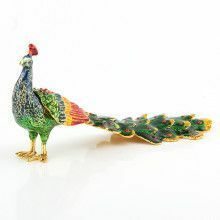 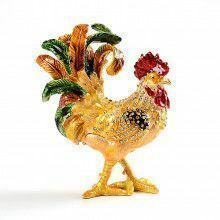 This trinket would look great on any shelf and can secretly store small items, such as jewelry.